Great success for the Ru-Bi and the Bali-2 in competitions. Simply amazing. After winning the Spanish Championship our Bali-2 model has won all the other competitions. At the Spanish league in Granada the Bali-2 finished first and second in the Club Class (B wigs) and first the Sport Class (C wings). 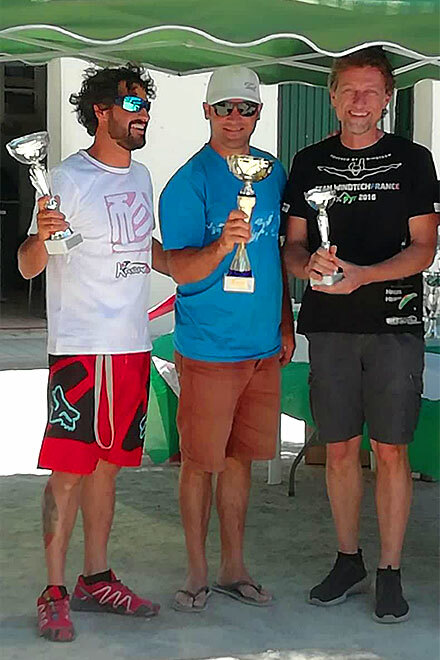 With Jose Morales Windtech was also in the podium of factory brands Also at the Spanish League in Ager and always with Gabriel Cañada the Bali-2 won the competition at the Club Class. The Ru-Bi has also finished on the second position and the Spanish Tandem Championship with Paco Navarro. The same model finished first at the previous championship with Daniel Crespo.